"The professionalism and knowledge of staff, for example Vinu and Sherin is exceptional". 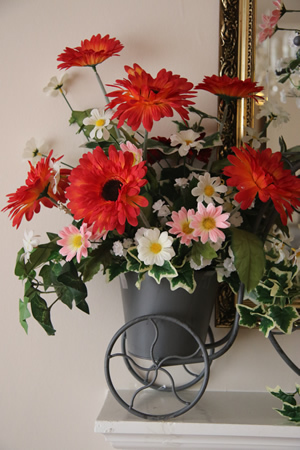 "One of the best nursing homes I visit in terms of care and staff standards." "I have without exception, been made to feel welcome." "I receive very positive feedback from the clients under my care who report their needs are met to a high standard." "Excellent nursing and general care." "I think the home is outstandingly good." "The staff always adhere to my advice and if they have any concerns, they will always contact me." "It is a very caring, happy and loving nursing home." "I have never seen a care Home so committed to providing the high level of real care that you all do." "We have never seen a care home anywhere near such standards." "We have a lot of experience both in Devon and elsewhere in the country." "They make outstanding efforts all the time and achieve amazing results." "Staff are approachable at any time and for all length of time needed." "There is always a warm welcome for visitors." "Food is of excellent standard." "The meals are always so well presented." "It is our experience that the staff generally treat residents as members of family." "The home itself is always clean and tidy." "Activities are most varied. Have seen painting, flower arranging, harpist, singalong, carol singing with choir at Christmas." "The fact that many of the staff have been working at the home for some years makes a big and positive difference." " There have been times when someone has gone considerably beyond the call of duty. The nurse spent all night on hand for observation of him." " There is never any unpleasant smell (unlike other nursing homes I have visited)." 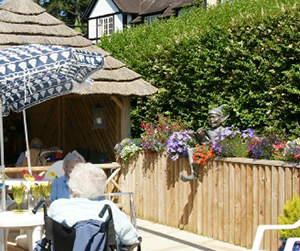 " Staff always make an effort to talk to residents and keep them happy and comfortable." "Every member of staff is on hand at all times always to help me when required." "Staff are exceptional. always cheerful and helpful." "I cannot find one member of staff whom I could criticise in any way." "My own bedroom is a delight." "A variety of activities, all most enjoyable." "The staff are very particular about arranging appointments for me." "Staffing is a strong point. They are caring, concerned and kind." "The care is of a high standard and they understand my needs." "It is a happy home and well equipped." "Our Manager works with us to ensure excellent care delivery." "I have had all possible training to ensure I work safely within my job role." "Team work is one of our main strengths." "The most supportive environment that I have ever come across." "There is continual training and updating each year." "The Team work very hard together and know that they are very much appreciated." "I have done a lot of professional development training which was identified and supported by management." "There are monthly meetings and supervisions and we can talk to our line manager and manager anytime and have an open discussion." "It's the best team I know." "Mother was very happy here. She felt valued." "The care could not have been better." 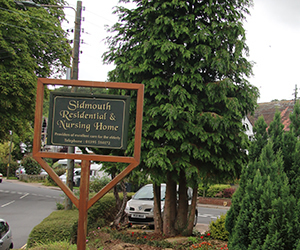 "Locals and professionals all spoke highly of Sidmouth Nursing Home and I'm glad you had a room for him." "I never worried about him when he was living with you." "Thank you for the immense support provided to family members." "It was evident today how much you all care and go above and beyond for your residents." "You have truly transformed Mum's life." 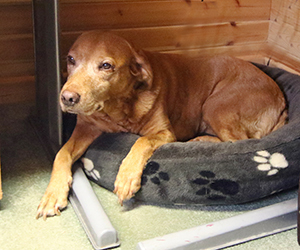 "I would like to take this opportunity to thank you and your staff for looking after my sweetheart with great care." "My beloved Dad discovered his 'second family' in April 2012 when he moved in to Sidmouth Nursing Home." Dad had had a stroke in 2005 and then had gone on to develop vascular dementia around 2010. I live in Berkshire so my journey is a 300 hundred mile round trip. When my Mum passed away in February 2013, it would have been so easy to move Dad to a Nursing Home in Berkshire. I'd like to share with you why I chose not to. The Home has an excellent management team, who are there for you as much as your loved one. The General Manager (Julie) has a very 'hands on' approach and could always tell me straight away, how Dad was doing when I 'phoned in between visits. Once you meet the staff, you realise very quickly that they have been 'hand picked'. Each and every staff member shares the same vision. 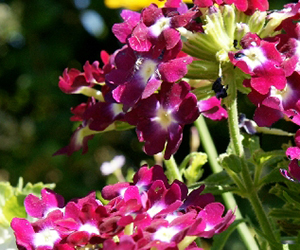 They respect that privacy, independence and dignity are of paramount importance to their residents. They do everything in their power to provide a calm, safe and secure environment for their residents, ensuring that residents are treated with love, compassion, kindness, patience and empathy. At the same time, the Home is a happy and fun Home, with a range of regular activities for the residents. Sadly, Dad passed away in August this year. Dad's every need was looked after and for this I will be eternally grateful. 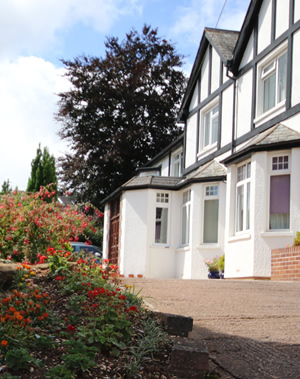 Finding a Home for your loved one is a daunting task but, from the bottom of my heart, I can personally assure you that you will find no better care than at Sidmouth Nursing Home.